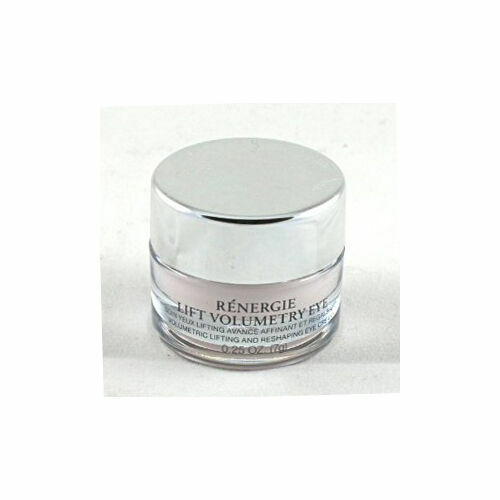 Let the puffiness and dark circles around your eyes disappear with the Renergie Lift Volumetry Eye cream. This Lancome anti-aging formula works best on your sagging eyelids and gives an attractive look to your eyes. While minimizing wrinkles under your eyes this Lancome eye cream also boosts up your youthful resiliency and bounce. As claimed by the makers, the Renergie Lift Volumetry Eye visibly lifts your skin and makes it firmer and reshaped. Leaving your skin smooth, soft and supple this Lancome anti-aging cream also hydrates the skin. Offering healthy skin this Lancome eye cream increases cell production. A product I am very pleased with. This is a good product that is gentle and soothing on your eyes. It keeps the eye area smooth and moist all day. It does not irritate my eyes as other eye creams do. I will continue to use it. the eye cream products reduces the lines under and around my eyes and it does not irritate my eyes. Estee Lauder Renergie Eye Cream reduces the fine lines and wrinkles under and around the eyes. It can be used in the morning prior to using eye concealer, as instructed by a Estee Lauder Consultant. It stays on all day and into the night. It has also helped in reducing dark circles. I highly recommend this eye creme!